Stellé Audio Pillar wins Red Dot design award! SPROUT is proud to announce that the Stellé Audio Pillar won a prestigious Red Dot Award for Product Design. SPROUT refined the Industrial Design, including the perforation patterns on the top panel and around the base, the user interface and a vast array of CMF options. The Pillar provides a mix of fantastic sound and sweet style. Featuring limited edition collections and collaborations with brands like Dwell studio, SPROUT created a must have product for the fashionable music lover. 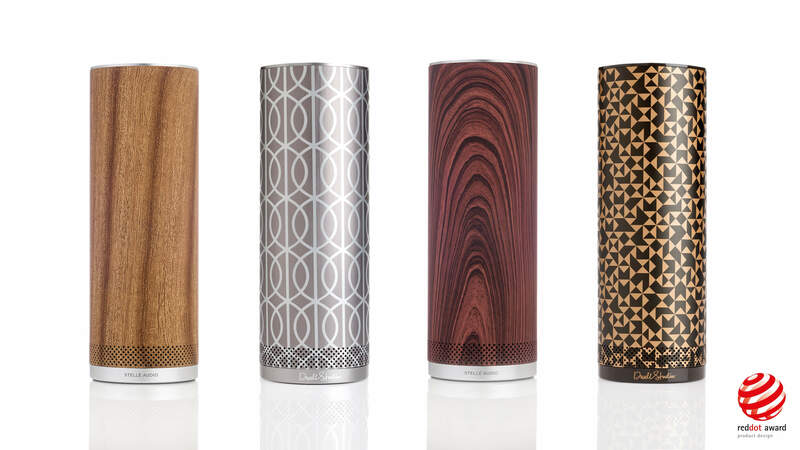 The Stellé Audio Pillar speaker bridges the gap between music, design and technology. 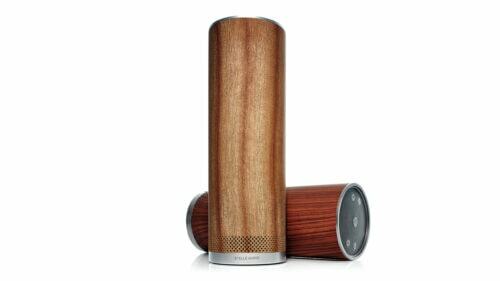 Accordingly, it features an elegant, smooth cylindrical shape, offers impressive 360-degree sound and connects to any compatible device via Bluetooth. With its large number of designs available in different wood, metal and colour varieties, it blends with any interior style, both at home and in the office.